Todays feature product is wire mesh baskets. These come in a range of sizes including half sizes that can be used alongside another load like a bike or kayak for example. Specs. Today we fitted a small Thule basket to a Corolla wagon. 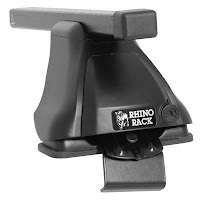 Thule and Rhino baskets are pretty comparable in terms of quality and price. Rhino have the greatest range of sizes although Thule have the 3 most popular sizes of small, medium and large but not half baskets. Rola are now sourcing their baskets from China. 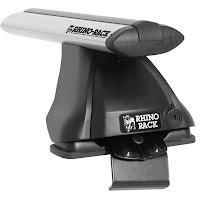 The quality has dropped but the prices haven't so we are now favouring Thule and Rhino for this product. We usually use a Rhino u-bolt kit for simplicity on all baskets. The mesh basket is a very popular unit for pure functionality. it does not have the style of an alloy basket but it is a cost effect way of getting a strong platform on your roof . Also Rhino now have a platform basket which has no sides to it. 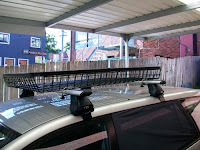 The roof racks shown in the picture that we used for mounting the basket to the Corolla are Rhino 2500 series multi fit racks $289 (May09). This a 2 part kit with legs and cross bars that fit a wide range of vehicles and an additional bracket kit that is vehicle specific to fit a range of vehicles. You can aslo get the budget option which is just as strong but comes with square cross bars for $239 (May09).